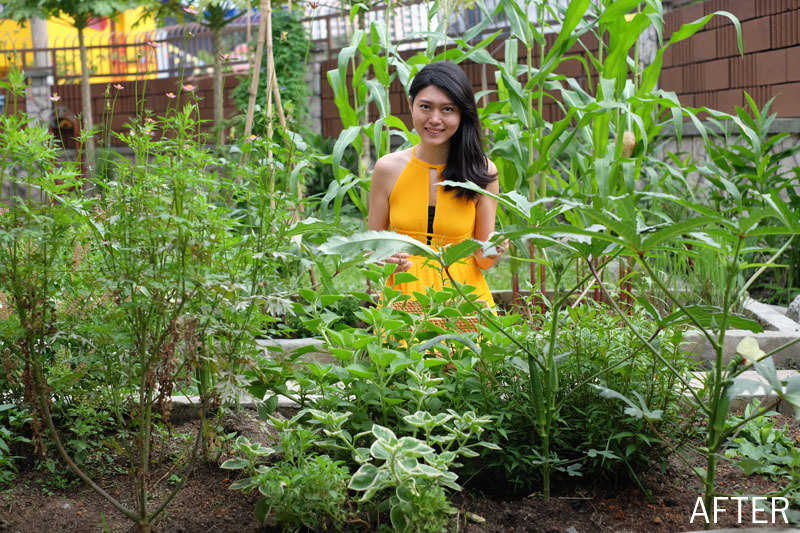 I’ve build an organic garden with over 50 different types of edible plants. 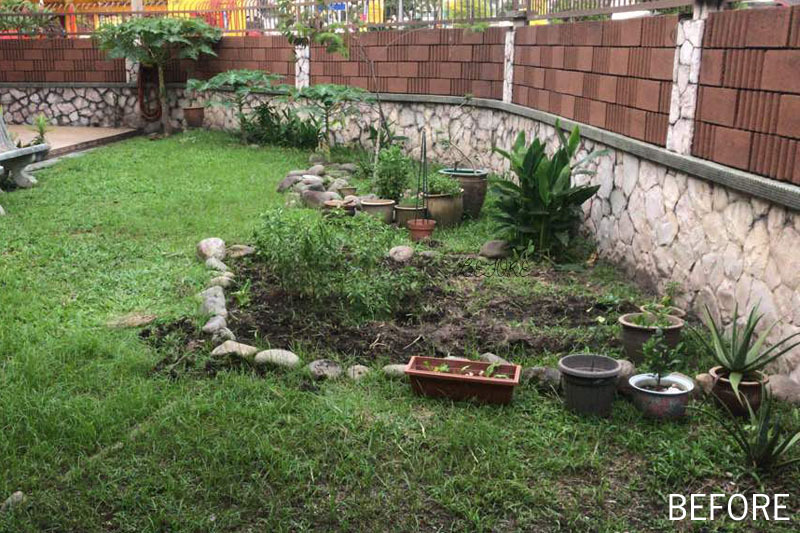 Above is how my garden looks like in just two months. 1. What do I have to work with? 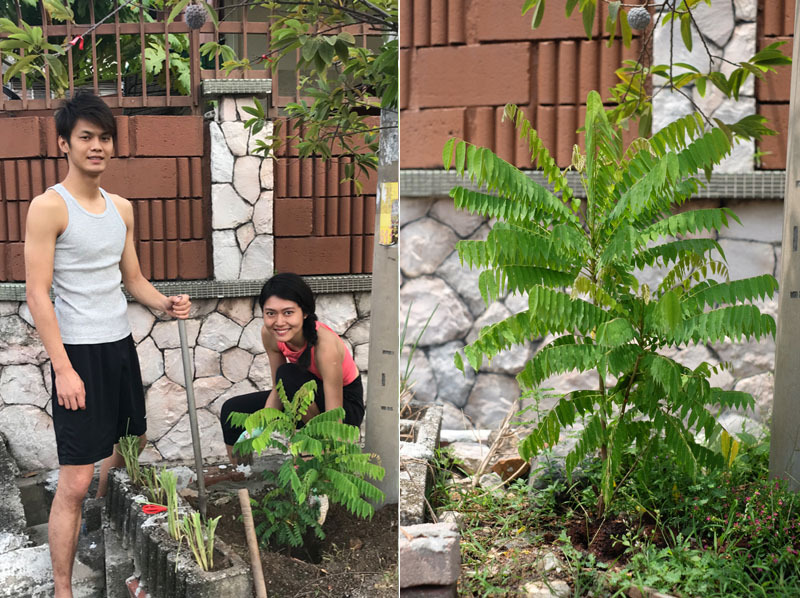 Now that I’m living in a corner house with a much larger space (20 x 8 metres), extremely fertile grounds, and full sunlight, I can do a lot more. So I just need to figure out how much of the land I want to dedicate to gardening. 2. What is my garden for? In whatever I plan do, the first thing I ask myself is “What do you want and why?”. Having a clear understanding of what I want and why sets the direction and ensures the success of every project that I undertake. 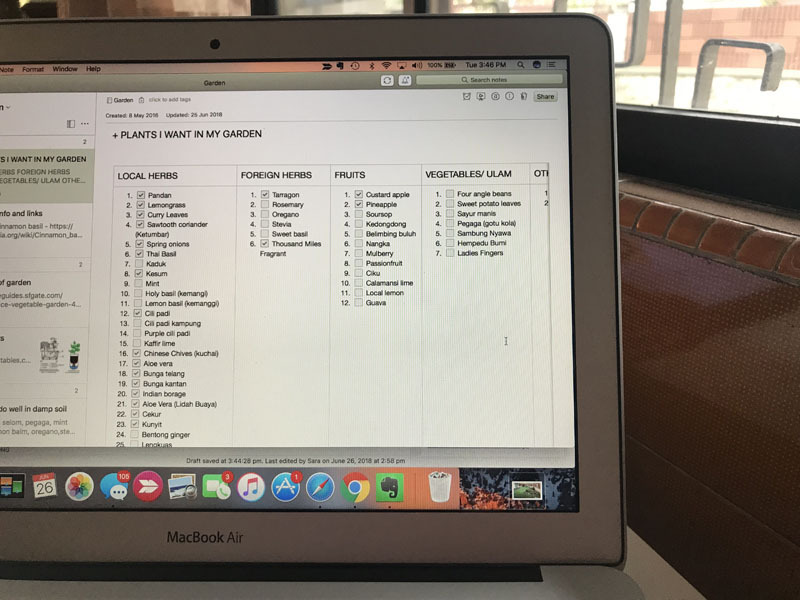 So I came up with a checklist of what I want in my garden and what I already have. Then I have to remove some that will be difficult e.g hyacinth beans need a large space and creeps wildly. 4. Do it yourself or hire? I had a landscape artist, Vera Dingle, to assess my garden. I also wrote to Eat, Shoot, and Roots and received a quotation. While I love Eat, Shoot, and Roots very pretty galvanised tongs and the fact that they’ll build everything up for you, I decided on the DIY route. 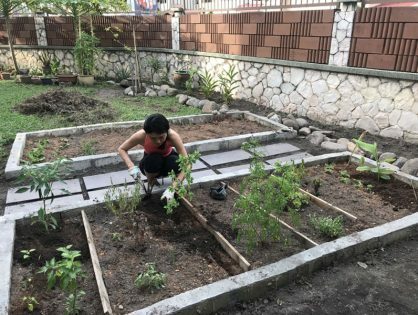 I wanted to take an active part in building my garden from start to finish. 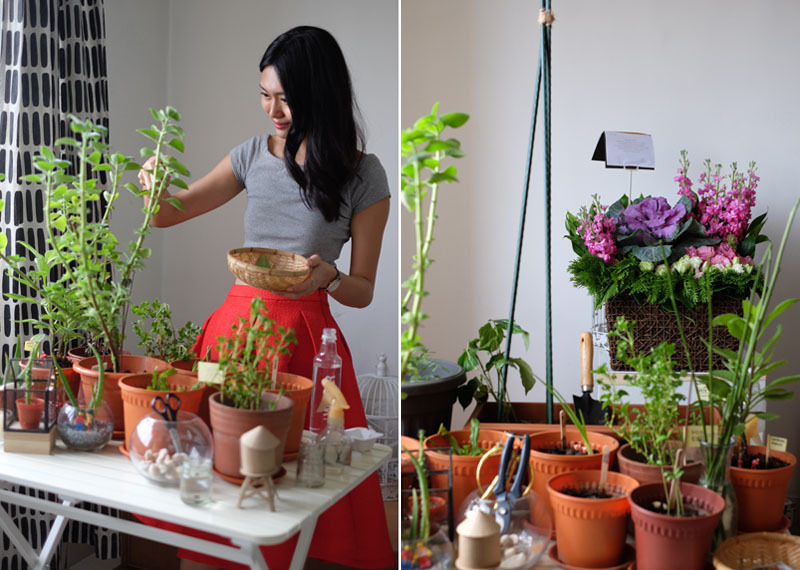 I want to know the nitty-gritty of how to build a garden from scratch. 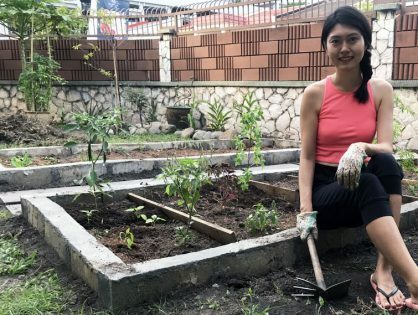 Not only I’ll learn more and save, I’ll appreciate my garden a lot more too. I also wanted to show that anybody can do it. However, I do know my limitation: I don’t know how to mix cement to build a raised bed. 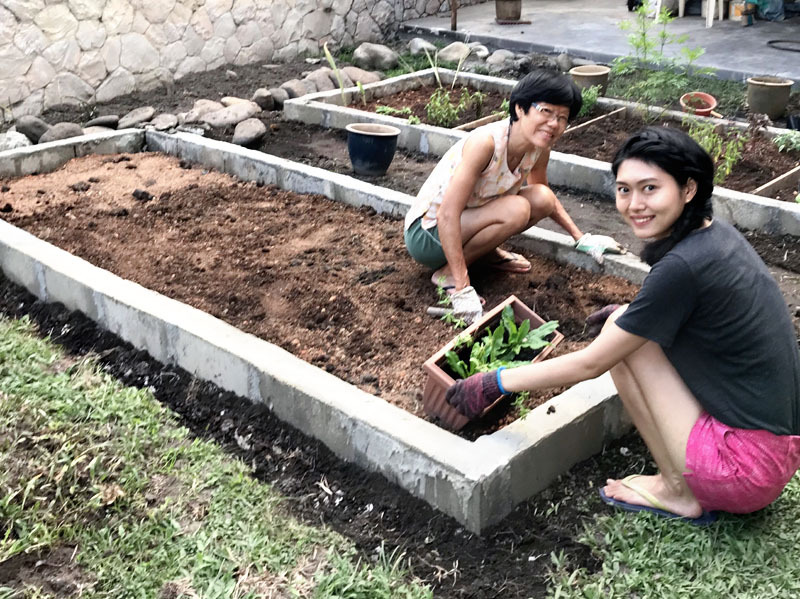 I did all the research, planning, planting; but I hire my mother’s friend, Mr. Chai, a retiree who runs a sizeable garden, to do the more physical and skillful tasks that I cannot do on my own. Besides asking my family what they’ll like me to plant, I also ask them what I cannot plant. I am not allowed to plant big trees with roots that may destroy the bricks. 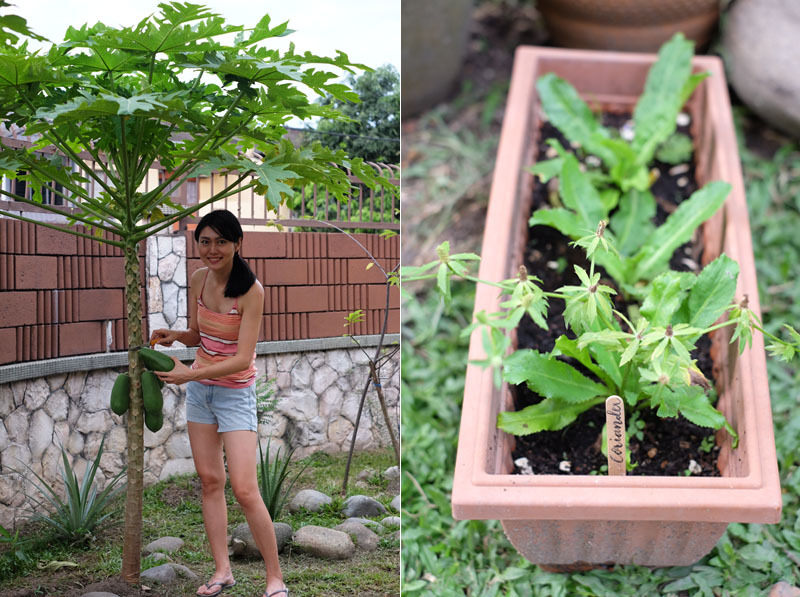 I was also not allowed to plant banana trees because my relatives think that it’s bad luck. I also have an aunt who is an avid gardener and a walking encyclopedia. She helped me throughout the process. Work will be a lot harder without her expertise and help. I initially thought I could just put it all together with my bare hands. Bricks after all like huge Lego blocks, isn’t it? That is until I found out from the Internet that it involves levelling the ground and laying a foundation with cement. My only concern is that bricks are not as aesthetically-pleasing. 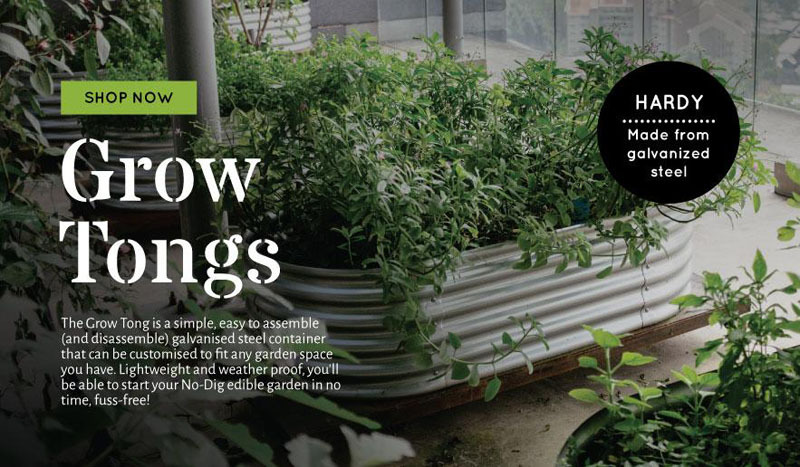 I tried finding other alternatives e.g bamboo, galvanised steel, wood, etc. However, using the bigger brick block is the easiest and most sustainable. 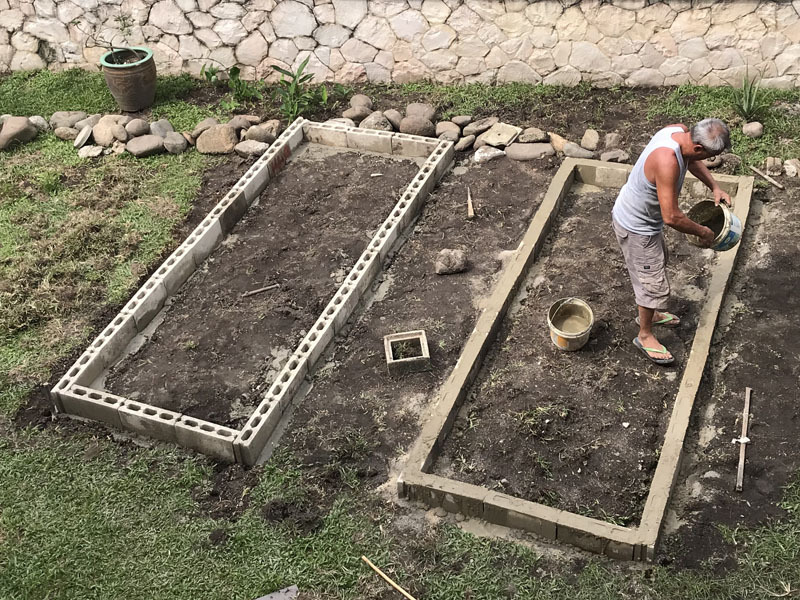 To build the raised beds, I will need bricks. The one that I found out is called ‘Brick Block’. So I called up a hardware shop nearby my house and found out that they sell it for RM 2.80 each. They will also deliver it right to my house, along with other things I need like sand and cement. 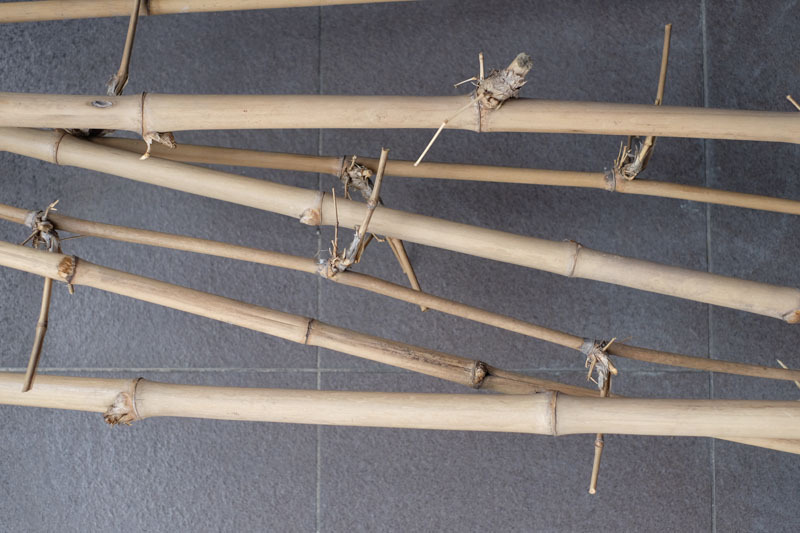 I will also need bamboos to build trellis. However, I knew it has to be somewhere not too far from my home that I could take it back home. Luckily election was just over (so I could get some from those used to make flag poles) and my neighbour a block away has some right outside their house. Next, it’s putting my ideas into ‘paper’! As I am quite environmental-friendly and techie, I planned and recorded everything in Evernote and my iPad. 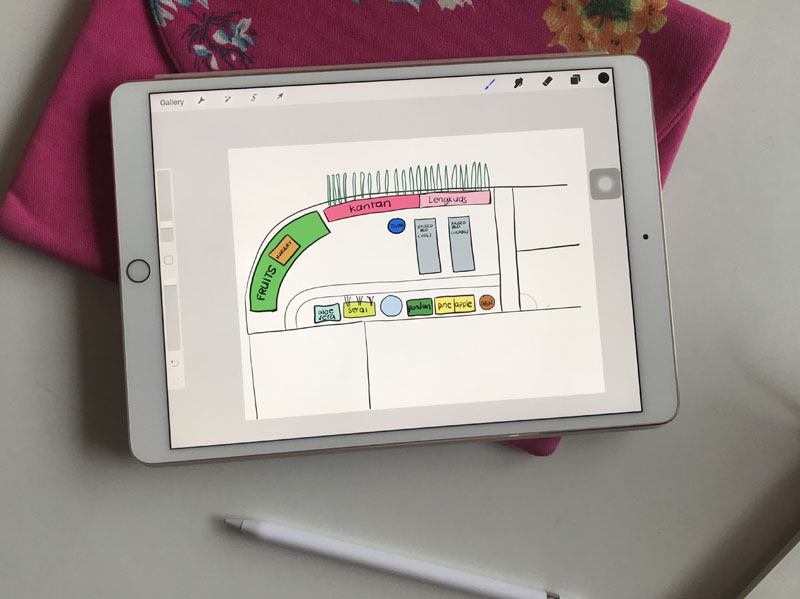 It’s easy to draw my plan with an Apple Pencil so that I can erase and redraw easily. 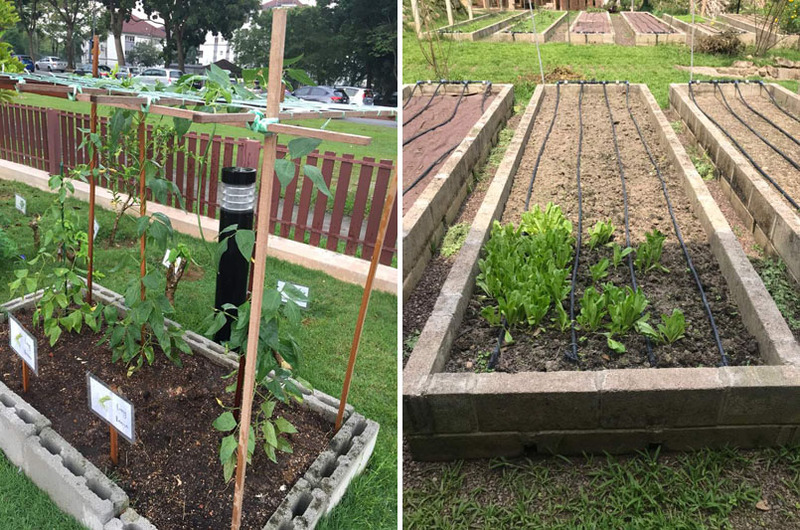 I got inspiration from building raised bed from Starbucks’s Community Garden and A Little Farm On The Hill. I decided on having two beds: one for herbs and another for vegetables. 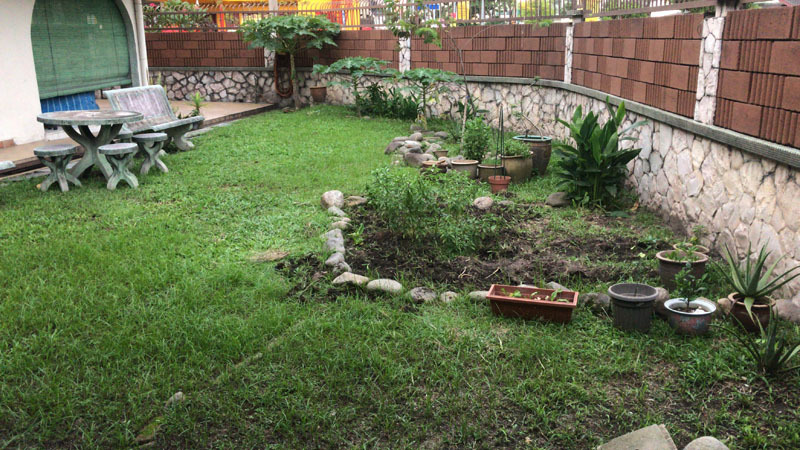 I’ll like to save some space for bigger fruit trees like papaya and lime trees at the corner. In short, gather all the information that you need and get as much help as you can. Next week, we’ll talk about how to build a raised bed and nursery with a pallet. 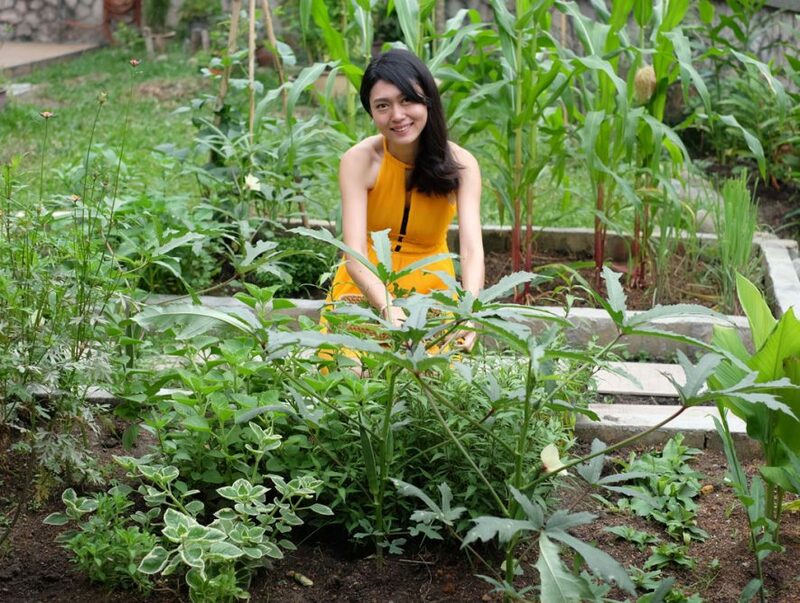 You’ll see how I transformed my garden.